The public debt held by the United States has surpassed $22 trillion for the first time, an increase of more than 100 percent in less than a decade, according to estimates from the U.S. Treasury Department. The total public debt was $22,012,840,891,685.32 on Tuesday, of which $16.1 trillion is debt held by the public and the remaining $5.8 trillion are intergovernmental holdings. 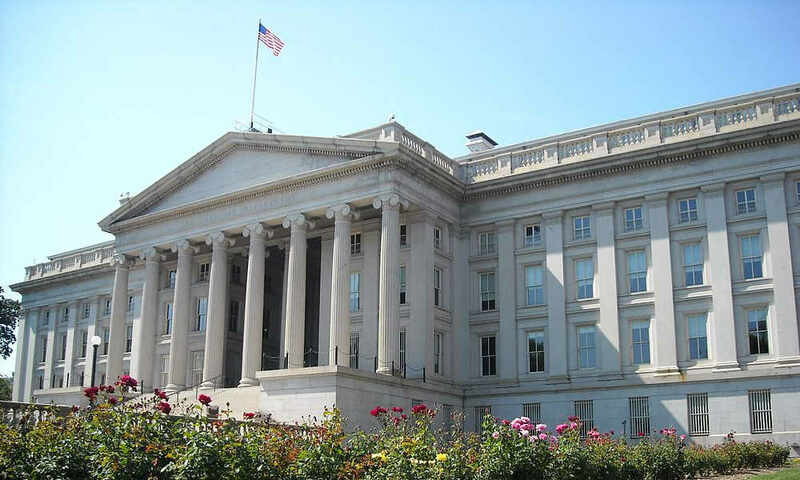 The daily estimate was released by the U.S. Treasury Department on its website. The national debt nearly doubled during the presidency of Barack Obama, and the debt has continued to rise under Donald Trump. The Republican overhaul of the U.S. tax code in December 2017 is forecast to raise the deficit by $1.8 trillion through 2027. This year’s deficit is expected to be $897 billion, according to the non-partisan Congressional Budget Office (CBO). The federal budget deficit is expected to exceed $1 trillion each year beginning in 2022. The entire public debt was paid off under President Andrew Jackson. The debt held by the public is expected to reach $27.3 trillion by the end of 2027. This does not include debt issued to government accounts, such as Social Security trust funds, because they don’t affect the economy directly and have no effect on the budget. Taken together, it would push the total debt well above $30 trillion by the end of 2027. 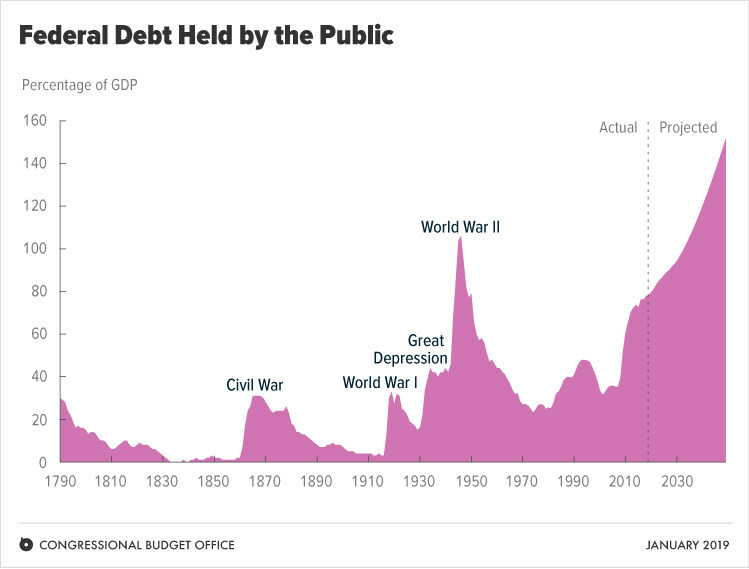 The U.S. federal debt held by the public as a percentage of GDP.